How to restore and revitalize your home after flood or other water damage? Call 970-422-1601 or drop us a line using the incredibly simple form on this page. As Coloradans and Fort Collins residents unfortunately know all too well, flood and water damage can have devastating consequences. 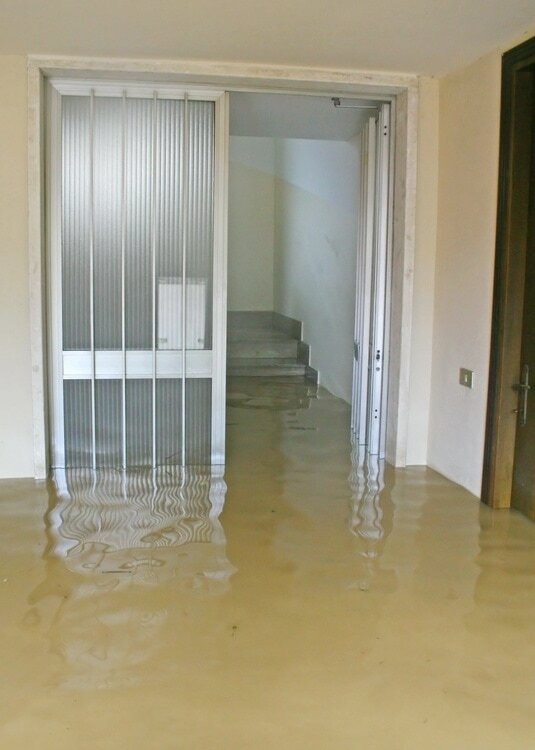 If your home or office has been affected by water damage, don't wait to call us for a free estimate. Unmitigated water damage can lead to mold and mildew, which can cause significant health risks and further damage down the line, so time is of the essence. Our Fort Collins Flood Restoration experts will work to repair your flood or water damage to the utmost standards, but we'll discuss ways to safeguard your space to lessen the chance of recurrence. Comprehensive water damage restoration. We can remove the excess water from your carpet or furniture, clean the affected area and deodorize your home to combat any potential future mold and mildew. We know time is of the essence. If you have significant water damage in your home, there is no time to spare. Slight water damage can quickly lead to mold or mildew, which can have devastating consequences for your home. We'll move like lightning to mitigate the water damage before further harm is done. S%#t happens! Toilets overflowing or septic tanks backing up are no fun at all. Our crew is ready to spring into action to clean up any soiled areas, and has special sewage treatment techniques to ensure your home is clean and odor free when the job is done. Don't leave flood or water damage in your Fort Collins home left unchecked. Give us a call today or fill out the form on this page for a free no hassle estimate. Mud and Water invading your house is never good. We'll help you pick up the pieces before the real construction project starts! Broken water heaters. Many Homeowners don’t look after their water heaters over the years. We didn’t when we first owned a home. Water heaters, especially older ones, can rust, and eventually give way to the weight of water that is being carried in the water tank. Water heaters can carry anywhere from fifty to one hundred gallons of water, which can fill a small basement and create drywall and framing problems in a very short time. Broken pipes. Another thing that home owners don’t check is the pipes within their walls. Why would they need to? Pipes, if properly insulated, should last a very long time, right? Well, homes that are built back before 1980 might have the same piping that hasn’t been checked in over 30 years. To check them requires a lot of work, and money spent on contractors, so they are generally left and not looked at. We have helped restore many homes that have had a flood resulting from broken pipes. They might be coming from a bathroom, or a toilet, or a refrigerator, and normally, it’s the cold winter that is the cause of the problem. If you have a broken pipe, and need emergency help, call our Flood Restoration pros in Fort Collins today at 970-422-1601. Washing Machine Hose line breaking. This can be a slow leak, or a very heavy one, and can flood a home while you are out working your 9-5 job. Whether your laundry room is in your basement or on the top floor of your Fort Collins home, you will have some water damage issues that need to be mitigated. Roof leaking. This is a very common issue, and unless you are looking up at your ceiling, or at your walls to see the water leaking down, can’t be caught in time before real problems occur. Of course you should get a roofing expert to take a look at your shingles to see where the leak happened, but you need to call a Fort Collins water damage restoration expert to look at the problem immediately. Sump Pump failure. If you have a basement in your home, you hopefully have a sump pump that is hooked up and operational to pump water out of your basement. If the water table is too high outside of your home, your home can be flooded very easily unless you have a working pump. When the floods of 2013 hit, many homes lost power, effectively shutting down their sump pumps. Unless it is hooked up to a marine battery, you will be flooded easily with water, and need a flood restoration service to help you out. Water collecting in your basement window well. This is less likely if your home has good drainage, but can happen, and is difficult to mitigate before water seeps into your walls. Sewage back-flow. This can be caused by many different things, and in many different places. Your raw sewage can be backed up either within the system close to your home or can come from another outside source. If you are having sewage back-flow problems, you will normally smell it, and can call your Fort Collins water damage mitigation expert immediately. So, what are some of the other things that can happen when your home is flooded? Mold and mildew can begin to grow within 72 hours. When this happens, the de-humidification process is something that needs to be started right away. 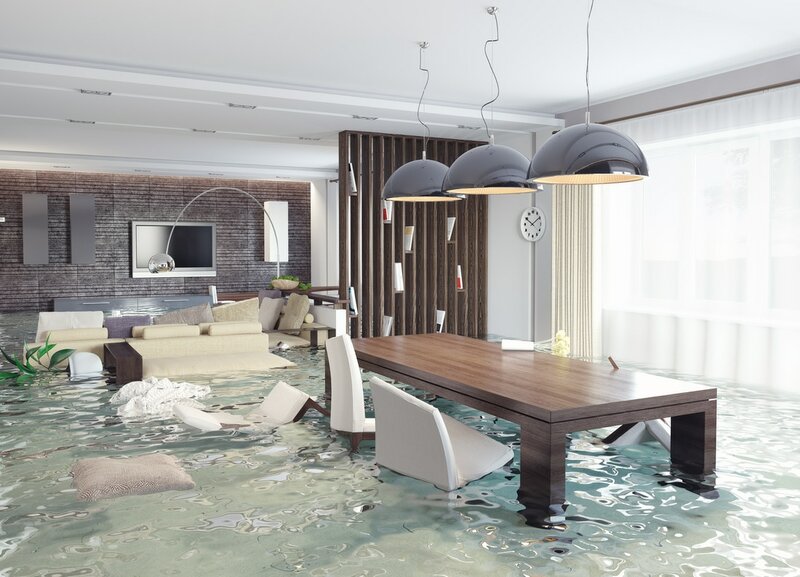 Not only do you have a short time span between when water can get into your walls, but if you do not have a flood restoration company add a dehumidifier in your space right away, you will have much more expensive problems. Your home can suffer damage leading to you having to potentially stay in a motel for a while. If your basement is flooded, then you most likely have other bedrooms for you to stay in. But if you have broken pipes, and many walls need to be re-constructed, then you have a lot of hotel room stays in your near future. Mold in your home is very bad for your respiratory system, so you don’t want to mess with breathing it in and out continuously. If you are experiencing flooding or you have water damage in your home or office, call the Fort Collins Flood Restoration company that cares about your well being.